END OF AN ERA - FLASH SALE TONIGHT! 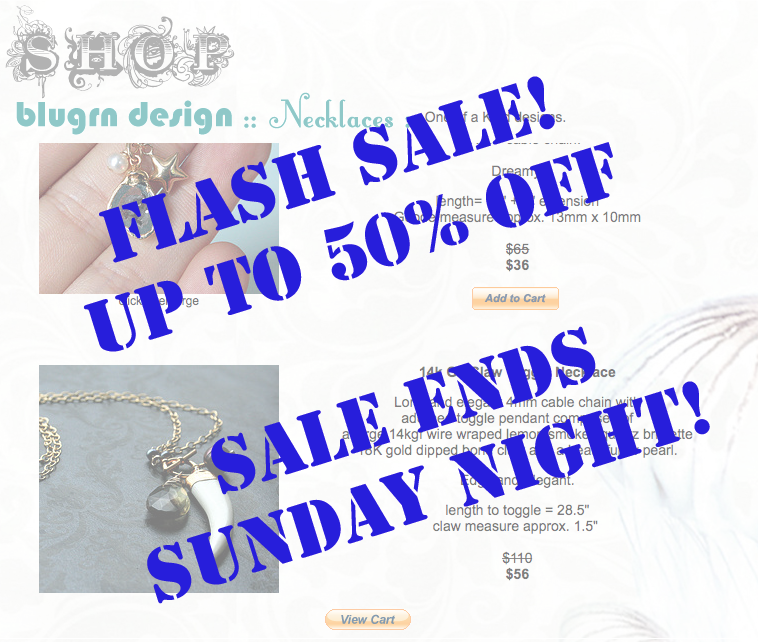 I'm having a FLASH SALE tonight ! GEM EARRINGS and GEM NECKLACES and many of my FOUND AND VINTAGE pieces will be marked down up to 50% off!